If your job search is to be successful, it’s pretty much a given that you’ll need to put some effort in. From crafting the perfect CV to prepping the best answers for potential interview questions – it’s all vital. However so too is the actual job search process itself – a casual haphazard approach will never bring you the results you need. Structure and organisation are key. Our basic tips on adding structure to your job search should hopefully help. If your job search is to be successful, you should ensure that you give dedicated time to it. If you’re already working, that may mean setting an evening or two aside every week or if you’re currently out of work, it may mean you treating your job search like a job in itself! That doesn’t necessarily mean that you ought to spend 8 hour days poring over job boards, however you should have distinct shifts or time slots when you are wholly dedicated to the task at hand – i.e. the search for employment! Get rid of the distractions and ensure that you give your job search the undivided attention it actually needs. To make sure that you are truly efficient when job searching, you should have all your resources at hand – from a generic CV which you can tailor for particular jobs through to a record of the standard responses that you may utilize on application forms. You should be able to apply for any job that you see relatively easily and the best way of doing this is by ensuring that you have your tools at hand! If you don’t save previous applications or don’t have a regularly updated version of your CV readily accessible, you are creating problems for yourself where there should be none. Keeping track of your job search can be done in many ways – from recording your applications manually in a notebook through to using an organiser app. It’s very easy to forget what you’ve applied for, or where you’ve looked, particularly if your job search has been taking a while. Record the important information – the jobs you’ve applied for, the dates you’ve applied, how you’ve applied etc etc. Do what works best for you. 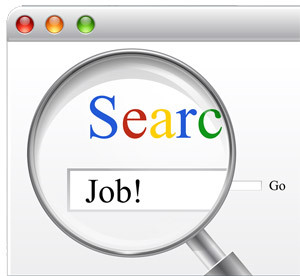 If your job search activities only consist of you visiting the same job boards every day, looking at the same newspapers every week or checking out the same employers’ websites on an ongoing basis, chances are you’ll be finding the entire thing a chore – particularly if you’re no nearer to getting a job. Variety is the spice of life after all so you should shake things up a little. Use social media, attend networking events, check out local job fairs – these are just a few examples of how you can cover more bases when you’re job searching and ultimately keep your job search fresh. Varying what you do will help ensure that boredom and frustration do not set in. It’s essential that you continually monitor what you are doing to look for a job. Check out what you’ve been doing and what has or hasn’t been working for you. If particular job boards never have vacancies in your area or chosen field, why are you wasting time looking at them. 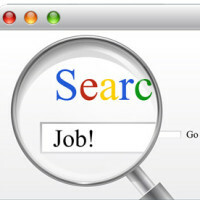 If you are restricting your job search to only one location, why not expand it a little. If the sector you’ve been job-seeking in has few opportunities, why not see where else you could work – assess your transferable skills and get applying! Taking a little time out to reflect and review what you’re doing could prove to be one of the most valuable ways to spend your time. We hope that these basic tips on adding structure to your job search will be of use to any of you who are in need of a little focus right now. Got any other tips that you’d like to share? Why not let us know via the comments below.